2018/08/30 01:56 PubMed Taxonomyを使っていたら、オーソリティではないという文言がありました。あまり信用するのも考えもののようです。Disclaimer: The NCBI taxonomy database is not an authoritative source for nomenclature or classification - please consult the relevant scientific literature for the most reliable information. Federhen 2012a. 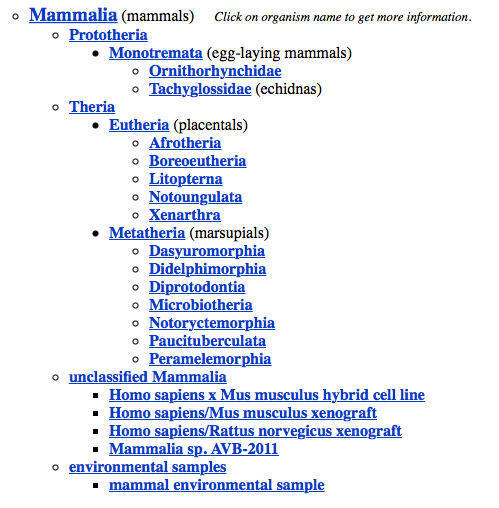 The NCBI taxonomy database. Nucleic Acid Res 40 (Database issue), D136-D143.